Commissioned by Wagga Wagga City Council as part of their Nightlights series. Projected onto the civic building in September 2017. Connection playfully explores some of nature’s landscapes, from the swelling seas to the endless desert, and some of the life in between. 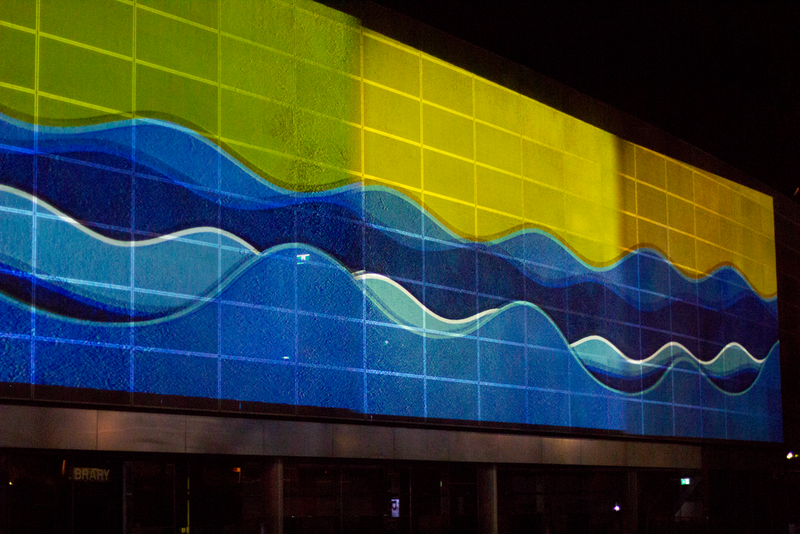 Expressed through stylised scenes using vivid colours, this work is inspired by the unique scope of the projection surface of the side of the Wagga Wagga Civic Centre and the natural scenery in its surrounds. It explores a handful of landscapes, seamlessly transitioning from one to another. The transitions play with the concept that everything is connected from the ocean to the desert, and the life that dwells throughout.